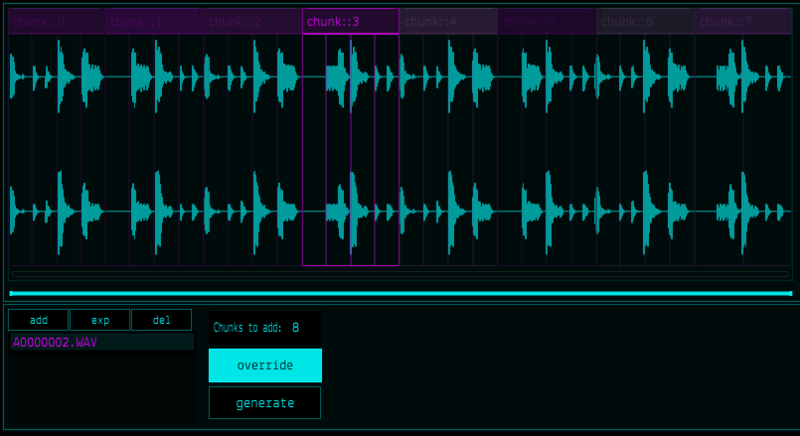 The main idea behind the Chunks Generator feature is to facilitate the repetitive cutting of the audio sample. e.g. When loading a loop (for which we know the number of beat) it may be interesting to directly generate an equivalent number of chunks. Then we only have to assign those chunks to pads as desired! For now, the Chunks Generator will create a number of chunks of equal size. The newly generated chunks can be added to the existing ones or simply replace them.